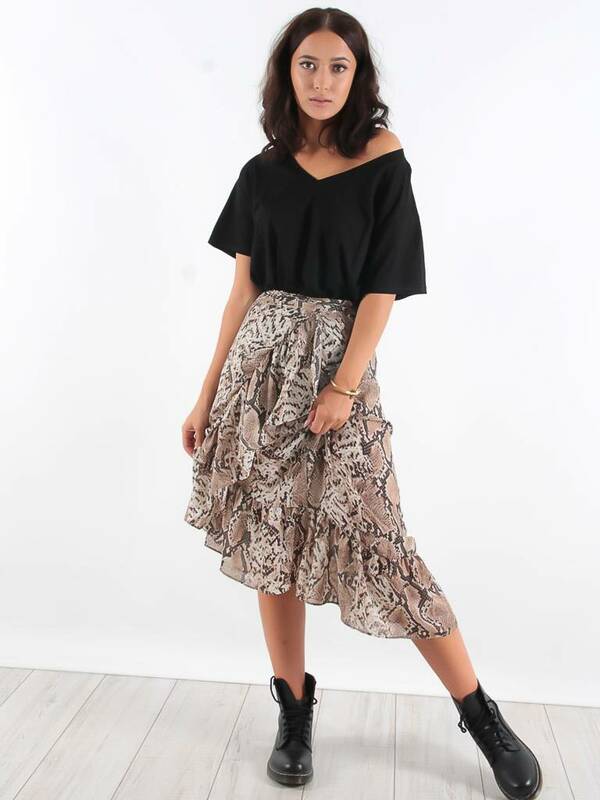 Get that sassy look for the weekend in this show-stopping skirt. 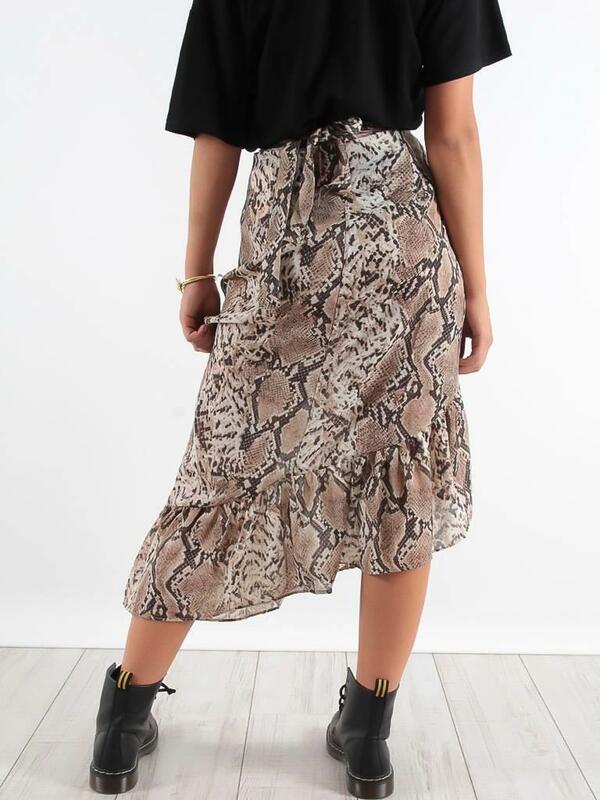 Featuring a snake print material in a frill wrap design. Team it with an off shoulder t-shirt and chunky boots to complete the look.